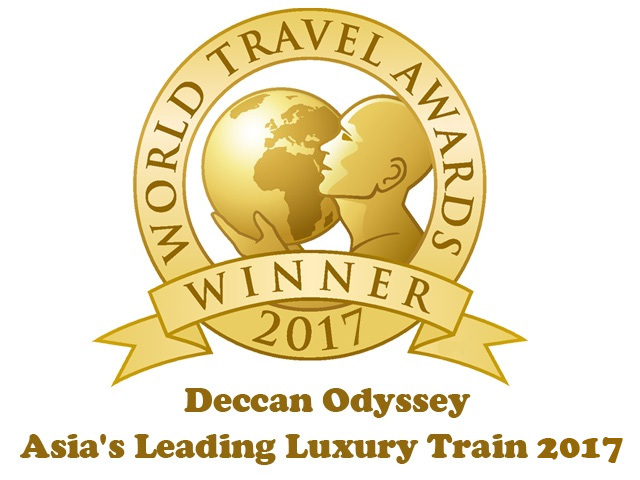 One of the leading luxury trains of India, Deccan Odyssey has once again been crowned as the Asia’s Leading Luxury Train for the 7th time at the World Trade Awards (WTA). This luxury train has always kept up to its legacy through meticulously-planned train journeys that are a mix of exotic wildlife, magnificent palaces, and other wonderful charms. The award was given at a ceremony that was organized at Grand Kempinski Hotel in Shanghai, China. “The Deccan Odyssey gives you an unhurried and intimate introduction to the grandeur of India. The World Travel Award bestowed upon Deccan Odyssey for the 7th time stands as a testimonial of our dedication to redefine luxury through innovation. This recognition motivates us to further redefine our services for our esteemed guests,” said Arup Sen, Director, Special Projects after receiving the award. This Indian Luxury Train has recently undergone complete refurbishment for its interiors and services, before starting its new season from October month, this year. Maharashtra Splendor, Maharashtra Wild Trail, Hidden Treasures of Gujarat, Jewels of the Deccan, Indian Odyssey and Indian Sojourn are the magnificent trips that Deccan Odyssey embarks on showcasing the rich and diverse landscape of India. The luxury train recently underwent refurbishment before its services resume from October this year. The train has won the same title at WTA in 2014, and 2015. World Travel Awards are considered as the Oscars of the travel industry and thus hundreds of people from the industry were part of the ceremony. The awards are in its 24th year and have global recognition as the topmost travel honor. These awards recognize, remunerate and rejoice fineness, in every sector of the travel and tourism industry across the globe. The luxury train of India, Deccan Odyssey comes with 21 coaches. There are 11 passengers car, which can accommodate 8 guests per coach. The accommodation option includes Deluxe Cars and Presidential Suite Cars. Other than guest cars, coaches have been used for other facilities such as dining (2), lounge bar (1), generator cars with luggage store (2), staff cars (1), conference car and health spa (1). The interiors are regal and the comforts are modern. Some of the contemporary amenities offered on-board are air-conditioner with individual climate control, beauty saloon, gym, LCD TV with satellite channels, foreign exchange facility, channel music, paramedic on-boars, special suite coach for specially-abled people, etc. In the year 2016, Deccan Odyssey had won a number of awards, including the World Travel Award for Leading Luxury Train in Asia. Other accolades in its kitty are TTJ Jury Choice Award for Excellence and Innovation, and North India Travel Award for Best Luxury Train in India, 2015.